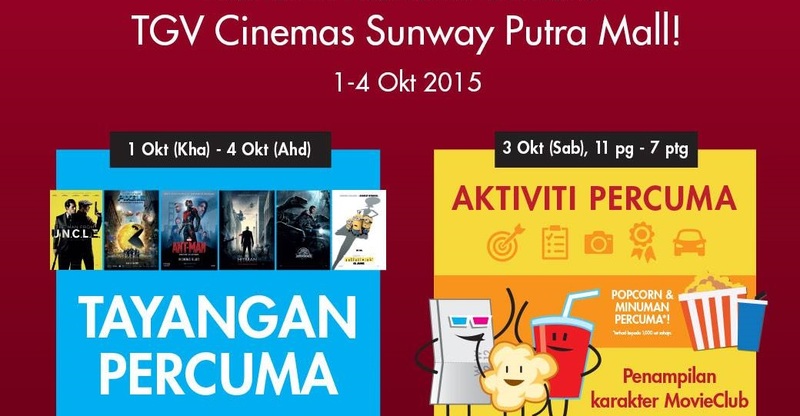 TGV Cinemas at Sunway Putra Mall in Kuala Lumpur is now open and its inviting all movie lovers to its celebration with free screenings from October 1st to 4th 2015 featuring titles such as The Man from U.N.C.L.E, Hitman, Ant-Man, Pixels, Jurassic World and Minions. On its grand opening day on October 3rd, free movie merchandise and popcorn sets will be given out to the first 1000 customers. 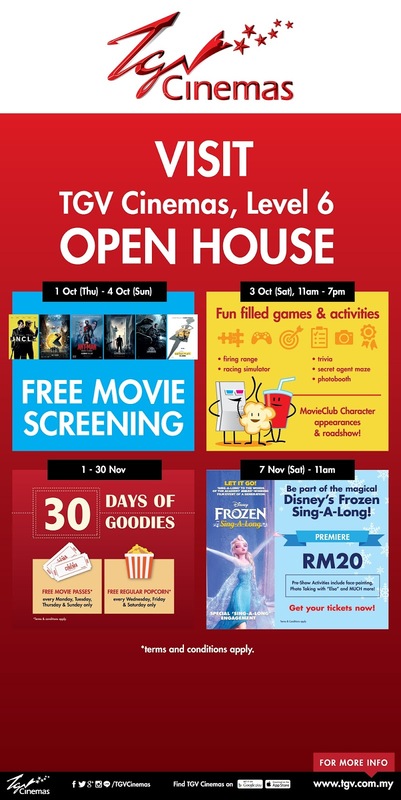 There will also be activities such as Instant Photo Booth, Racing Simulator, Firing Range, and Secret Agent Maze where movie lovers could take part to stand a chance to win complimentary movie passes. That’s not all — there will be 30 Days of Goodies from 1st to 30th of November 2015 where the first 100 movie lovers can stand a chance to redeem either free movie passes on Monday, Tuesday and Sunday, or regular popcorn sets on Wednesday, Friday and Saturday at this cinema. And last but not least, there will be a Frozen Sing-Along movie screening on November 7th. This new TGV outlet has a total of five standard halls and one Beanie, equipped with Dolby 7.1 sound system and 1057 spacious legroom seats.